Were you fooled by our April Fools? The 1st of April traditionally has even the sharpest of us wondering which so-called loved one or friend is gonna take the opportunity to prank us. After all, it’s the one day of the year that we can get away with it scot-free so why the OJO wouldn’t we? So, to mark the occasion, we decided to create something that would make our Jerry, the alpaca proud. And so, we “launched” London’s (and the world’s) first ever Alpacachino, made from real alpaca milk! In actual fact, the amount you could milk from an alpaca would barely cover your morning cereal. But we couldn’t let a good opportunity like April Fools Day go to waste, could we now? Rupert Addington was our fictional owner of Milk In It coffee shop and he was well into alpacas. Our carefully crafted Alpacachino had everything that health enthusiasts would go crazy for, each yummy cup packed with potassium, vitamins A,C,D,C (did you crack the code?) and Alpaca 3 (because fish oils are so last season). If you haven’t already seen it, check out our 1-minute Alpacachino promotional vid and see if you can still fool one of your mates! Mwa ha ha ha! We might have tried to pull the alpaca wool over your eyes this time but there’s one thing we never joke about and that’s giving you UP TO 50 NO-WAGER FREE SPINS when you make your 1st deposit at PlayOJO. That’s what you get when you play at the fair casino that offers our players: no wagering requirements ever, all wins and bonuses paid in cash with no restrictions, money back on every bet, win or lose, no max win and no minimum withdrawal. 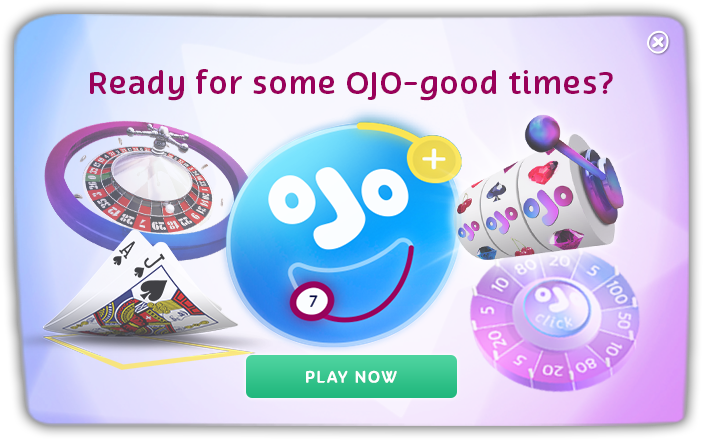 Find your OJO today!